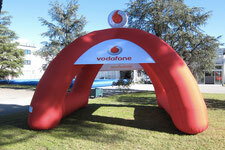 Inflatables Tents are ideal tool to create reception points for events and tours. Easily portable, they can be placed in any place and installed in minutes. 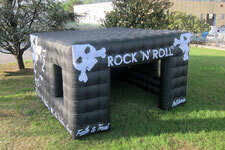 Available in different models and sizes, they can be customized with direct printing or with interchangeable graphics. Visually stunning both day and night, with the ability to provide them with internal lighting. 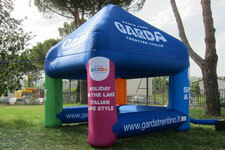 The inflatable stands find their use in advertising and sports. 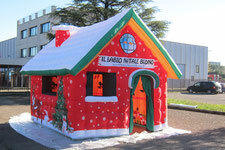 Inflatable housing unit reproduction, used not only in advertising. 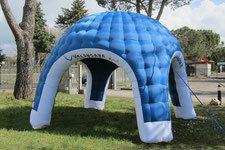 Represent the evolution of the classic inflatable stand. The quilt effect brings elegance and style. From a simple graphic model we can achieve UNIQUE and inimitable models.